Our sugar sand and sultry waters are gifts from the gulf. They set hearts to beating in syncopation with nature and set your rhythms to low... very low. As one might suspect, the southeast Florida coast offers some of the most amazing beaches, certainly in the lower 48 states and, I would suggest, even the world. There are beaches that are very active and where those that can, flaunt their nothing short of flawless "beach-bodies" as well as for those who simply stroll along the breakwater and admire the scenery. For those that want to be a more remote beach, there are those beaches that are the better kept local secrets, never overrun by tourists and where even on weekends you can enjoy a quiet day at the beach. For those of you who may be a bit more European and like to bathe at least partially au-natural, so to speak, there are even beaches that will accommodate your desires as well. 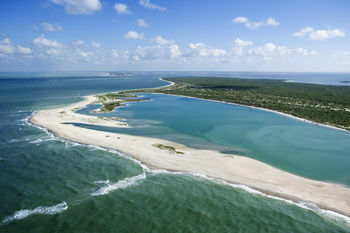 Red Reef Park - Nature enthusiasts will particularly enjoy Red Reef Park, 67 acres of Atlantic coastline and wildlife. The park features a man-made reef for snorkelers to catch a glimpse of nature?s underwater wonders, including tropical fish, turtles, eels and stingrays. The park?s Gumbo-Limbo Nature Center lets visitors take a close look at wildlife with sea turtles, sharks and stingrays in outdoor aquariums. The shaded boardwalks are ideal for afternoon nature strolls through butterfly gardens and a 40-foot observation tower. Birders will enjoy the wide range of small birds in the park. 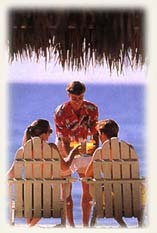 Along with the natural setting, Red Reef offers picnicking with grills, tables and rest room facilities..read more ».